Year: 1924 Item #: 343 Views: 4,576 Comments: No Comments. A picture with a Moral - "Never mind Bobbie. 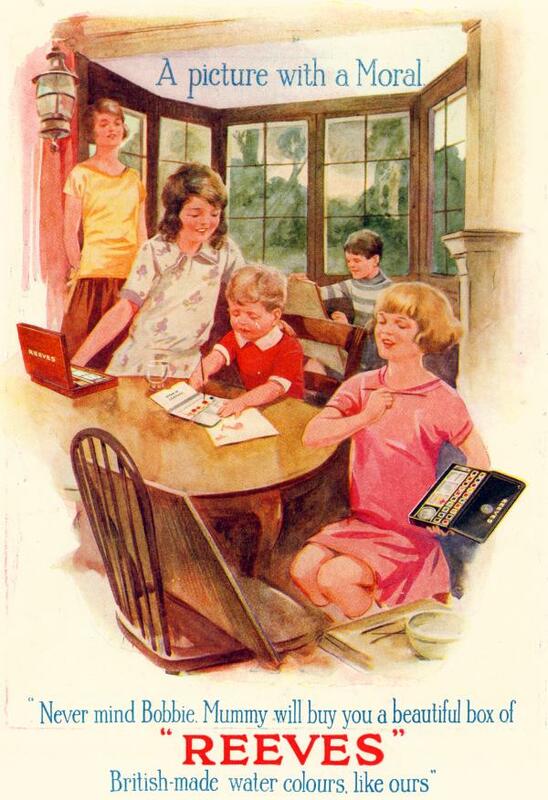 Mummy will buy you a beautiful box of 'REEVES' British-made water colours like ours"